The rainy season in Brazil has begun!!!! 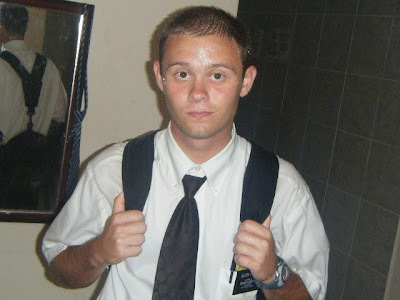 Elder Clark has a 40 minute walk from his house to his new area of Paratibe. This is a picture of him after arriving home one very rainy day....He is soaked!! Even though Brazil is very wet right now, Christopher and Elder Paim's desire to baptize and bring new members into the Gospel has not been dampened. 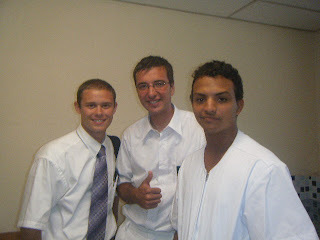 Last week they were blessed to be able to teach and baptize Jose Expedito.